The application of liquid nitrogen as a local adjuvant to curettage in the treatment of bone tumors was first introduced three decades ago. This technique, termed cryosurgery, was shown to achieve excellent local control in a variety of benign-aggressive and malignant bone tumors. However, early reports showed that cryosurgery has been associated with a significant injury to the adjacent rim of bone and soft tissue, resulting in high rates of fractures and infections. These results reflected an initial failure to appreciate the potentially destructive effects of liquid nitrogen and establish appropriate guidelines for its use. 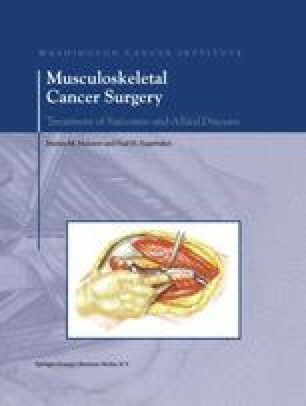 This chapter reviews the biological effect of cryosurgery on bone, surgical technique, and current indications for its use.